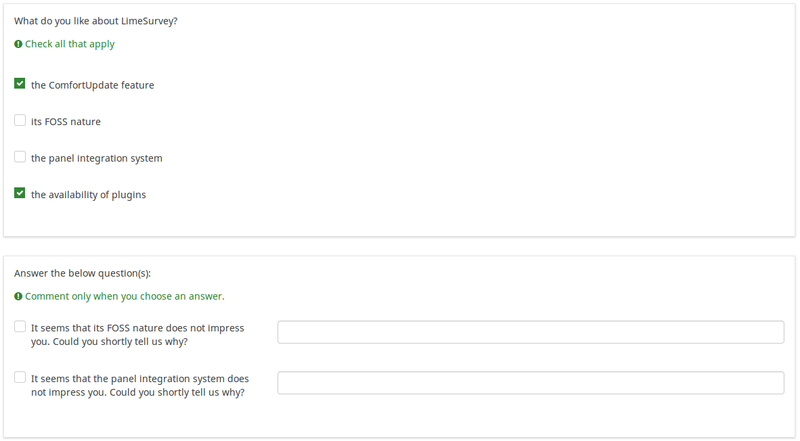 It is an array question type that is prefilled with answer choices on a 1 to 10 scale. 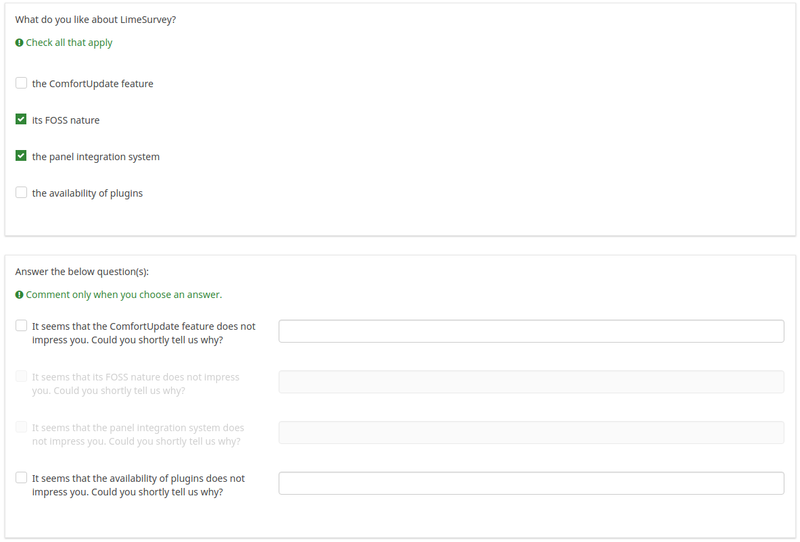 A "No answer" answer option is automatically added if the question is not mandatory. Hint: If you need to use another scale, change the question type to the general array question type. The exclusive option attribute takes the code of an answer in a multiple option question so that when clicked on its corresponding checkbox, all the other previously checked options will get unchecked and get marked as read-only (=disabled). This function was created to ensure the data integrity when one of the multiple options in a multiple option question implies that no other option can be selected too. Basically, this feature marks the other attributes as being irrelevant. It is also possible to have multiple exclusive options. These must be separated by semicolons. For a short explanation on answer codes, check first the following wiki section. Once understood, introduce the "AnswerCode" that will trigger the function once selected. Below, you may see an example where the exclusive option attribute is used. If you are using the question validation equation, you can use this box in order to display an optional message as question tip on how the question has to be filled out. Any string or equation that makes use of the Expression Manager syntax. 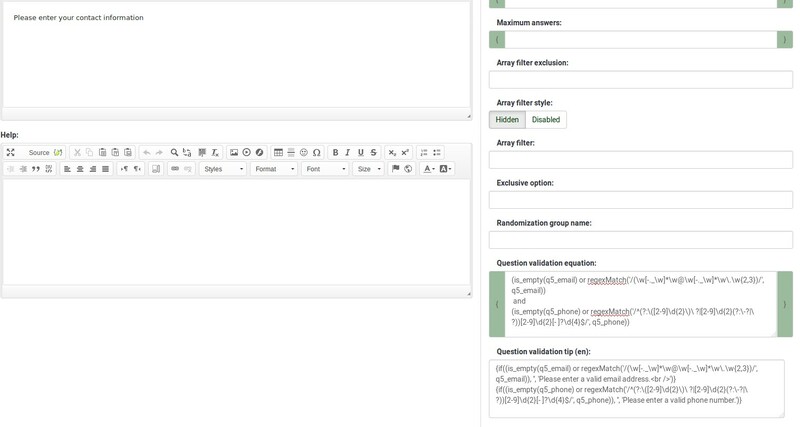 See the example from the question validation equation wiki section- it shows how the tip can be tailored to show which parts of a multiple short text question fail the validation criteria. This page was last edited on 26 September 2018, at 13:46.